At the center of a tooth is a hollow area that houses soft tissue, known as pulp or nerve. This hollow area contains a relatively wide space in the coronal portion of the tooth called the pulp chamber. This chamber is connected to the tip of the root via a narrow canal(s)called root canal. Human teeth normally have one to four canals with teeth toward the back of the mouth having more. These canals run through the center of the roots like pencil lead through the length of a pencil. The pulp receives nutrition through the bloodvessels and nerves carry signals back to the brain to warn of adverse events and circumstances. 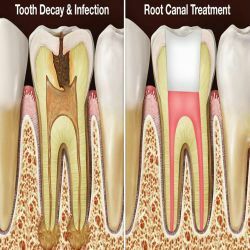 Root canal treatment is a dental procedure where the infected or damaged pulp of a tooth is removed and the inside areas are filled and sealed. Little or no discomfort is there and the procedure is performed in either single visit or multi visits. Root canal treatment saves the teeth that would otherwise need to be extracted. The most common cause of pulp infection is a cracked tooth or a deep cavity. They let in bacteria to the pulp and cause infection inside the tooth. If not treated pus builds up at the root tip of the jawbone forming a “pus-pocket” called an abscess, which can cause damage to the bone around the teeth. ● First step is to open the pulp chamber to allow access to the canals. ● Once open, with help of special instruments known as files the infected nerves is removed. The canals are flushed with antiseptic solution. ● The root canals are further cleaned & reshaped to free them of all debris. ● The cavity is then filled with temporarily filling material which is then replaced with a permanent filling material like composite filling. ● A root canal treated tooth should be ideally capped after 2 weeks. When the crown portion of the tooth has been extensively damaged, it is important to reinforce the tooth with posts & cores after the root canal treatment, prior to the crown procedures. In such situations, if post and core procedures are not carried out prior to crown procedures, the entire tooth structure along with the crown can break away making further restoration of the tooth extremely difficult. In the past, a root-filled tooth would often darken after treatment. However, with modern techniques, this does not usually happen. If there is any discoloration, there are several treatments that will restore the natural appearance. Yes. However, because a ‘dead' tooth is more brittle, you may need to have a crown to provide extra support and strength to the tooth. How do I care for my tooth afterwards? Root-treated teeth should be looked at just the same as any other tooth. Remember to clean your teeth last thing at night and at least one other time during the day with a fluoride toothpaste. Cut down on sugary foods and drinks and have them only at mealtimes if possible. See your dental team as often as they recommend for regular check-ups. If the pulp becomes infected, the infection may spread through the root canal system of the tooth. This may eventually lead to an abscess. 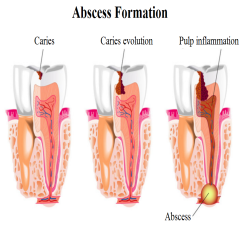 An abscess is an inflamed area in which pus collects and can cause swelling of the tissues around the tooth. The symptoms of an abscess can range from a dull ache to severe pain and the tooth may be tender when you bite. If root canal treatment is not done, the infection will spread and the tooth may need to be taken out. Please contact medinovita team for discounted rates. 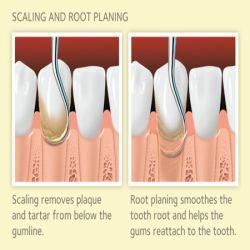 Root planing and scaling are one of the most effective ways to treat gum disease before it becomes severe. Root planing and scaling cleans between the gums and the teeth down to the roots.The dentist may use a local anesthetic to numb gums and the roots of teeth. 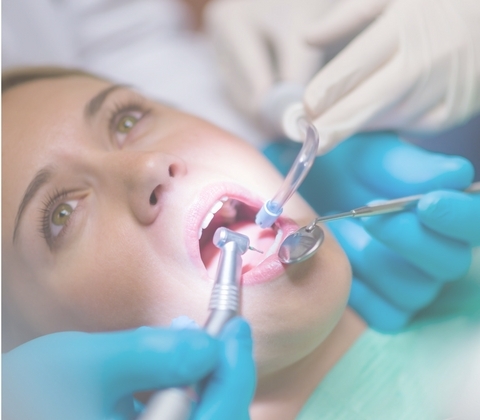 Some dentists and dental hygienists will use an ultrasonic tool for the planning and scaling. This tool is not as uncomfortable as a standard scraping tool, but not all cleanings require this type of tool. Dentist may place antibiotic fibers into the pockets between your teeth and gums. The antibiotic will help speed healing and prevent infection. The dentist will remove the fibers about 1 week after the procedure. If anesthesia is used lips and gums may remain numb for a few hours. Planning and scaling cause little or no discomfort. Root planing and scaling are done when gums have either started to pull away from the teeth or the roots of the teeth have hard mineral deposits (tartar) on them. A dental abscess (also termed a dentoalveolar abscess, tooth abscess or root abscess) is a localized collection of pus associated with a tooth. The most common type of a dental abscess is a periapical abscess and the second most common is a periodontal abscess. In a periapical abscess, usually, the origin is a bacterial infection that has accumulated in the soft, often dead, pulp of the tooth. This can be caused by tooth decay, broken teeth or extensive periodontal disease (or combinations of these factors). A failed root canal treatment may also create a similar abscess. Tap on your teeth. A tooth that has an abscess at its root is generally sensitive to touch or pressure. Recommend an X-ray. An X-ray of the aching tooth can help identify an abscess.Dentist may also use X-rays to determine whether the infection has spread, causing abscesses in other areas. Recommend a CT scan. If the abscess has spread to other areas within the neck, a CT scan may be used to assess the extent of the infection. Open up (incise) and drain the abscess. The dentist will make a small cut into the abscess, allowing the pus to drain out, and then wash the area with salt water (saline). If the affected tooth can't be saved, your dentist will pull (extract) the tooth and drain the abscess to get rid of the infection. Prescribe antibiotics. If the infection is limited to the abscessed area, you may not need antibiotics. But if the infection has spread to nearby teeth, your jaw or other areas, your dentist will likely prescribe antibiotics to stop it from spreading further. He or she may also recommend antibiotics if you have a weakened immune system. 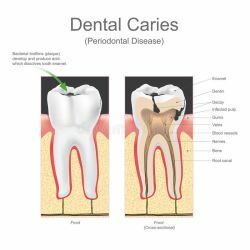 Dental caries (tooth decay) is a major oral health problem in most industrialized countries, affecting 60–90% of schoolchildren and the vast majority of adults. The early manifestation of the caries process is a small patch of demineralized (softened) enamel at the tooth surface, often hidden from sight in the fissures (grooves) of teeth or in between the teeth. The destruction spreads into the softer, sensitive part of the tooth beneath the enamel (dentine). The weakened enamel then collapses to form a cavity and the tooth is progressively destroyed. Caries can also attack the roots of teeth should they become exposed by gum recession. This is more common in older adults. Dental caries is caused by the action of acids on the enamel surface. The acid is produced when sugars (mainly sucrose) in foods or drinks react with bacteria present in the dental biofilm (plaque) on the tooth surface. The acid produced leads to a loss of calcium and phosphate from the enamel; this process is called demineralization. ● Tooth sensitivity towards hot and cold. ● Loose and bleeding gums. ● Pain while chewing food. The dentist drills the infected area of the tooth and fills it with materials like silver, alloy, gold, porcelain, or composite resin. Porcelain and composite resin match natural tooth appearance and are white in color. The filling is preferred for front teeth. But dentists consider gold, silver amalgam (alloy) as stronger and preferably use on back teeth. In cases of extensive tooth decay or damaged tooth structure which may weaken the teeth, crown or caps are applied. The crown is fitted over the remainder of the tooth, after removing the decayed area. RCT or root canal treatment is recommended in cases where the nerve of the tooth dies due to decay or injury. The doctor drills from the center and removes the nerve including the blood vessels, and tissues (pulp), along with the decayed portions of the tooth. The root is sealed with a sealing material, and the tooth is filled and crowned. Dental implants are fast becoming the new standard in tooth replacement. They are a popular and effective long-term solution for people who suffer from weak teeth, missing teeth or chronic dental problems. A dental implant is used to support one or more false teeth. 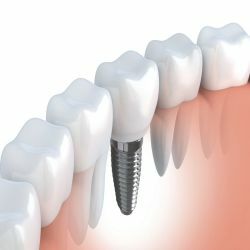 It is a titanium screw that can replace the root of a tooth when it fails. Just like a tooth root, it is placed into the jawbone. Occasionally a patient is missing more than one tooth, but still has healthy gums and surrounding teeth. In this case, multiple implants are the best solution. In this process, fixtures are implanted and the crown is attached leaving the natural teeth around them intact. Incase of an issue with a single failing or missing tooth, the doctors can easily fix that with a single dental implant. Rest assured, new tooth will look and function like other natural teeth. ● Unlike older, short-term tooth replacement technologies like dentures or bridges, dental implants are made of durable, stable materials like titanium, which don’t require repetitive maintenance and replacement. ● Dental implants naturally become part of your mouth, they not only keep your jawbone strong and healthy but also help you maintain the natural shape of your face, helping you look more like you. Your doctor will take x-rays and create a model of your existing teeth to determine where and how the implant should be placed. The implant is then placed in the bone and given a period of time to heal (osseointegrate) before attachment of the crown. In some cases, you can receive a temporary crown the same day. The final crown is usually placed 3-6 months after implant placement. Maintaining your dental hygiene is the most important role you will have to play for the long-term success of your implant. The doctor will give you specific instructions for brushing and flossing the area and put you on a regular check-up cycle. given proper care, dental implants can give you a lifetime of satisfaction. Dental implants can be placed in most adults who are in good to moderate health. Certain uncontrolled medical conditions may decrease the effectiveness of implant treatment, so be sure to discuss your full medical history with your doctor before beginning the treatment. Every patient is different and patient results may vary. Only a trained dentist can determine the best treatment plan for you. Yes. You can have any number of teeth replaced with implants - from one single tooth to a complete set. It depends on the condition of the bone in your jaw. Your dentist will arrange for a number of special tests to find out the amount of bone still there. If there is not enough, or if it isn't healthy enough, it may not be possible to place implants without grafting bone into the area first. Placing an implant is often easier than taking a tooth out and is usually done using a simple local anesthetic. You will not feel any pain at the time but, just like after an extraction, you may feel some discomfort during the week after the surgery. Sometimes your dentist might give you a sedative if you are very nervous or if the case is a complicated one. General anesthetics are rarely used for implants and are generally only used for very complicated cases. Usually 30 – 60 minutes, depending on the location and the number of implants. It should last lifelong if cared properly. Many implants have been in place for more than 40 years. 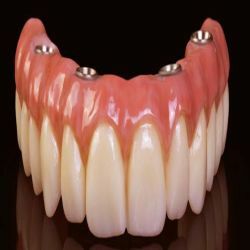 Most implants look exactly like natural teeth. Cost of implants may vary based on the types of types of implants, the number of teeth requires implants etc.Average cost of dental implants in India is 10$ per teeth. The standard straight-wire appliance is designed to move teeth to their desired location in the arch form. This is accomplished by using straight wire brackets in conjunction with a series of preformed archwires. Straight wire brackets have the ideal tip, torque, angulation and in/out position built into each individual bracket for each tooth. Once the bands and brackets are cemented and bonded in their ideal position, the doctor simply flexes the first archwire to fit into the bracket slots and ligates it into place. As the archwire attempts to return to its original shape, it will exert a corresponding force on the individual teeth until the wire lies passively within the brackets. The archwires are then progressively changed until a normal occlusion is achieved. • Consistent quality of end results. • Since the ideal tooth position is built into the brackets, once they are placed correctly, less chair time is required as treatment progresses. ● Flap surgery is typically done under local anesthesia, sometimes accompanied by oral anti-anxiety medications.alternatively, it may be performed under intravenous conscious sedation. After anesthesia has taken effect, a small incision is made to separate the gums from the teeth. The outer gum tissue is gently folded back to give access to the roots and the supporting ligament and bone tissue. ● Next the inflamed gum tissue is removed and the tooth roots are cleaned.if needed the area may also be treated with antibiotics or other medications. Bone defects can be repaired with grafting material and proper regeneration of the periodontal ligament can be encouraged by physical (barrier membranes) and chemical (growth factors) methods. Finally the incision is closed and the procedure is completed. ● Performed by an experienced hand, state-of-the-art flap surgery has an excellent track record and offers well-established benefits. It's often the treatment of choice for relieving periodontal disease and helping to maintain your oral health — and preserve your teeth. Gingivectomy is the surgical removal of the gingiva (i.e., gum tissue). A gingivectomy is necessary when the gums have pulled away from the teeth creating deep pockets. The pockets make it hard to clean away plaque and calculus. Gingivectomy is usually done before gum disease has damaged the bone supporting the teeth. The procedure involves removing and reshaping loose, diseased gum tissue to get rid of pockets between the teeth and gums. By removing the pocket walls, gingivectomy provides visibility and accessibility to remove calculus and thoroughly smooth the tooth roots. This creates a favorable environment for gingival healing and restoration of the gingival contour. Although gingivectomy was initially developed to treat periodontal disease, it is now a common cosmetic surgery. It is used to remove overgrown gum tissue and improve the appearance of the gums. Gingivoplasty is the surgical reshaping of gum tissue around the teeth.It is often done simply to make gums look better. They may have an unusual shape or may not be formed normally. The causes can include a person's genes, disease or trauma. Gingivoplasty reshapes the gums to make them look more natural. It often is done alone but can be done during or after a gingivectomy. Gingivoplasty also can be done along with a gum graft. This type of surgery adds tissue to the gum line. LANAP is a laser used to treat gum disease with virtually no pain, no cutting, swelling or bleeding. It is revolutionizing today’s treatment of periodontal disease. Fear of the discomfort associated with traditional methods for treatment keeps many of the patients who have some type of gum disease from seeking treatment. LANAP enables treatment that is just as effective and even more beneficial for the patient in terms of healing times and results. Also, laser periodontal treatment is usually less expensive than comparable treatment with more invasive cut-and-stitch methods. ● The light emitted by a fiber-optic tip selectively removes harmful bacteria and diseased tissue from the pocket by physically interacting with the bacteria and killing it by the absorption of laser energy. ● Ultrasonic scalers as small as the laser are inserted into the pocket and use sound waves to break up hardened tartar and other debris from the surface of the tooth. ● The laser is then inserted once more to remove any remaining diseased tissue at the bottom of the pocket. This last pass of the laser sterilizes the tissues and prepares the root surface to enable healthy gum attachment and aids in sealing the pocket closed. ● The recovery is virtually pain-free and bloodless. Most of our patients find their recovery period to be less than 24 hours, so the time from work is not lost. LANAP was designed to meet the growing need for pain-free dentistry. With LANAP, there are no scalpels or sutures and healing time is greatly reduced. The patient feels little to no discomfort during and after the LANAP procedure, which could reduce the need for post-operative prescription medications. Recovery from LANAP surgery often takes less than a day rather than the two to four weeks required for traditional surgery; many patients are able to return to work soon afterward. Your dentist may also recommend that you follow a soft food or liquid diet for one to two days, as opposed to several weeks following gum surgery. With leukoplakia thickened white patches form on gums, the insides of cheeks, the bottom of the mouth and sometimes on the tongue. These patches can't be scraped off. Doctors don't know what causes leukoplakia but consider chronic irritation from tobacco — whether smoked, dipped or chewed — to be the main culprit in its development. Most leukoplakia patches are noncancerous, though some show early signs of cancer. Cancers on the bottom of the mouth can occur next to areas of leukoplakia. And white areas mixed in with red areas (speckled leukoplakia) may indicate the potential for cancer. Even though leukoplakia doesn't usually cause discomfort, sometimes it can indicate a more serious condition. Oral brush biopsy. This involves removing cells from the surface of the lesion with a small, spinning brush. This is a non-invasive procedure, but does not always result in a definitive diagnosis. Excisional biopsy. This involves surgically removing tissue from the leukoplakia patch or removing the entire patch if it's small. An excision biopsy is more comprehensive and usually results in a definitive diagnosis. Leukoplakia treatment is most successful when a lesion is found and treated early when it's small. Regular checkups are important as is routinely inspecting your mouth for areas that don't look normal. For most people, removing the source of irritation ― such as stopping tobacco or alcohol ― clears the condition. Removal of leukoplakia patches. Patches may be removed using a scalpel, a laser or an extremely cold probe that freezes and destroys cancer cells (cryoprobe). Follow-up visits to check the area. Once you've had leukoplakia, recurrences are common. Usually, you don't need treatment for hairy leukoplakia. The condition often causes no symptoms and isn't likely to lead to mouth cancer. Operculectomy is the surgical procedure of removing the operculum or the flap of gum that partially covers a tooth. This procedure is done to treat pericoronitis, a condition characterized by pain and inflammation of the operculum. Pericoronitis typically occurs among young adults especially those whose wisdom tooth is starting to erupt. The dental operculum is a mass of soft tissue found on a partially erupted tooth. It is most commonly associated with lower wisdom teeth though it can also be seen covering the permanent molars and some baby teeth. It is quite apparent when a tooth begins to erupt and peek through the gum tissue. In normal circumstances, the gum tissue recedes as the tooth continues to erupt and moves into its proper position. A fully erupted tooth should no longer have any flap of gum tissue on its chewing surface. In the case of the lower wisdom teeth, there is typically little to no space left for the tooth to fully erupt and come out of the gum line. As such, the operculum over the wisdom teeth does not fully recede and could permanently cover the affected tooth. The presence of operculum sometimes causes oral health issues. There is an increased chance of biting the closely adjacent cheek tissue or the operculum itself. Tooth decay is also another possibility since it is quite difficult to clean the area underneath the gum. This condition could develop even if proper oral hygiene is practiced. The upper molars could also cause pressure on their lower counterpart causing pain. This might impact the patient’s quality of life, as eating becomes a painful activity. ● The patient is given local anesthesia prior to surgery. The dentist then makes one or more incisions on the operculum, loosening the flap on top of the affected tooth. Using a scalpel, the dentist then proceeds to excise the gum tissue. The dentist can also use a radio-surgical loop to remove the operculum. The wound is then closed with sutures, or the dentist can leave it open to heal by itself. ● Operculectomy can also be performed using electrocautery. A small probe is placed on the surgical site and mild electric current is transferred into the tissue. The heat resulting from the alternating current can cause the soft tissue of the operculum to disintegrate. This allows the dentist to cut through and remove the gum tissue covering the chewing surface of the tooth. No dressing is required for this procedure. ● A dentist can also use the diode laser to perform the removal of an inflamed operculum. The most common type of laser used in this procedure is carbon dioxide laser. Following the administration of local anesthesia, the handpiece of the laser is held near the target tissue. Using laser pulses, the target tissue is ablated. The dentist has to make sure that the enamel of the tooth is not hit by the laser pulse to avoid tooth damage. Once all the operculum tissue has been removed, and hemostasis has been achieved, the handpiece is slowly moved out of the surgical site. The wound is left open to heal by itself. ● Other techniques for treating pericoronitis include the use of caustic agents like trichloroacetic acid and cryosurgery. The caustic agent is placed under the operculum to dissolve the soft tissue in a controlled manner. Cryosurgery involves subjecting the operculum to extreme cold temperature to induce tissue necrosis. The dentist can then use a scalpel to remove the dead tissue. Mouth cancer or oral cancer can occur anywhere in the mouth, on the surface of the tongue, the lips, inside the cheek, in the gums, in the roof and floor of the mouth, in the tonsils, and in the salivary glands. Mouth cancer mostly happens after the age of 40 and the risk is more than twice as high in men as it is in women. Oral cancer can appear as a lesion or tumor anywhere in the mouth. In the early stages, there are often no signs or symptoms but smokers and heavy drinkers should have regular checkups with the dentist as they may identify early signs. ● Having any of these symptoms does not mean that a person has mouth cancer, but it is worth checking with a doctor. Treatment depends on the location and stage of cancer and the patient's general health and personal preferences. A combination of treatments may be necessary. Surgical removal of the tumor involves taking out the tumor and a margin of healthy tissue around it. A small tumor will require minor surgery but for larger tumors, surgery may involve removing some of the tongue or the jawbone. If cancer has spread to the lymph nodes in the neck, the cancerous lymph nodes and related tissue in the neck will be surgically removed. If surgery significantly changes the appearance of the face or the patient's ability to talk, eat, or both, reconstructive surgery may be necessary. This involves using transplanted grafts of skin, muscle, or bone from other parts of the body. Dental implants may be needed. Oral cancers are especially sensitive to radiation therapy which uses beams of high-energy X-rays or radiation particles to damage the DNA inside the tumor cells, destroying their ability to reproduce. A person with early-stage mouth cancer may only need radiation therapy, but it can also be combined with surgery, chemotherapy, or both to prevent cancer from returning. Radiation therapy may remove cancer if a patient is in the early stages of oral cancer. Widespread cancer may be treated with chemotherapy as well as radiation therapy, especially if there is a significant chance of the cancer returning. Chemotherapy involves using powerful medicines that damage the DNA of the cancer cells, undermining their ability to reproduce. A biopsy may be carried out where a small sample of tissue is taken to check for cancerous cells. Sometimes a "brush biopsy" is used initially.This where cells are painlessly collected by brushing them to one side. If mouth cancer is diagnosed, the next task is to determine the stage of cancer. Oral and Maxillofacial Surgeons are specialists in the diagnosis and treatment of a broad range of disorders affecting the facial complex and skeleton including the jaws and oral cavity. Contemporary training in both medicine and dentistry enables oral & maxillofacial surgeons to treat conditions requiring expertise in both fields. These include a range of common oral surgical problems (eg. impacted teeth, dental implants), jaw and congenital facial disproportion, facial trauma, oral cancer, salivary gland disease, temporomandibular joint disorders and various benign pathologies (eg. cysts and tumors of the jaws). Minor Oral Surgical Treatment – Surgical removal of impacted wisdom teeth, surgery in relation to the maxillary sinus, complicated exodontics, frenectomy, pre-prosthetic surgical procedures, cyst enucleation, treatment of various lesions in the oro-facial region, management of oral submucous fibrosis and related precancerous conditions, pre-orthodontic surgical procedures, apicectomy etc. Dental & Maxillofacial Trauma – includes soft tissue injuries of the facial region, fractures of the mandible, maxilla, zygoma, TM joint injuries and dentoalveolar complex injuries. Cosmetic surgical treatment (Orthognathic Surgery) of malalignment and maldevelopment of the jaws, including dentofacial deformities, assymetry etc. The very word orthognathic means orthos – to straighten and gnathic – concerning jaws. ● Provide safe and effective office anesthesia. Tooth whitening is a very effective way of lightening the natural color of the teeth without removing any of the tooth surfaces. It cannot make a complete color change but it may lighten the existing shade. It works best for people who have stained teeth due to frequent drinking of coffee and tea and for those who acquired their yellowish teeth through smoking. Why would I need my teeth whitened? There are a number of reasons why you might get your teeth whitened. Everyone is different and just as our hair and skin color vary, so do our teeth. Very few people have brilliant-white teeth and our teeth can also become more discolored as we get older. Teeth can also be stained on the surface by food and drinks such as tea, coffee, red wine, and blackcurrant. Smoking can also stain teeth. ‘Calculus' or tartar can also affect the color of the teeth. Some people may have staining under the surface which can be caused by certain antibiotics or by tiny cracks in the teeth which take up stains. Professional bleaching is the most usual method of tooth whitening. The dentist will be able to tell you if you are suitable for the treatment and will supervise it if you are. First, the dental team will put a rubber shield or a gel on gums to protect them. They will then apply the whitening product to teeth using a specially made tray which fits into the mouth like a mouthguard. The 'active ingredient' in the product is usually hydrogen peroxide or carbamide peroxide. As the active ingredient is broken down, oxygen gets into the enamel on the teeth and the tooth color is made lighter. During laser whitening, a rubber dam is put over teeth to protect the gums and a bleaching product is painted onto teeth. Then a light or laser is shone on the teeth to activate the chemical. The light speeds up the reaction of the whitening product and the color change can be achieved more quickly. Laser whitening is said to make teeth up to five or six shades lighter. The effects of whitening are thought to last up to three years. However, this will vary from person to person. The effect is less likely to last as long if you smoke or eat or drink products that can stain your teeth. Smile designing procedures are essential for smiles that are defective, unappealing or ugly. The defects may lie in the color or shape of the teeth. Defects or excessive visibility of the supporting gums can also contribute to ugly smiles. Defective alignment of teeth & / or defective shapes of the jaws (eg. Protruded or retruded jaw contours etc.) are other factors contributing to un-esthetic smiles. Therefore, smile designing procedures encompass a wide area of treatment procedures ranging from basic cosmetic dentistry procedures to highly complex surgeries on the facial skeleton to correct jaw deformities. ● Basic cosmetic dental procedures – scaling & oral prophylaxis, tooth whitening, tooth-colored restorative procedures, dental bonding, veneers and dental jewelry. ● Periodontal procedures – management of gingivitis and periodontitis, gingival contouring, gingival de-pigmentation and surgical management of “gummy smiles”. ● Crown and bridge procedures – carried out to replace missing teeth/ strengthen or modify the shape of existing tooth/teeth by providing cap(s) over them. ● Dentofacial Esthetic Surgery procedures – to correct the abnormal size / shape / positioning of jaws in order to achieve a good balance in facial proportions. Besides ensuring that implants are permanently fixed in place, this bone fusion has another important benefit: it prevents future bone loss in the jaw. This helps to maintain a more youthful facial structure—and better oral health. But perhaps the biggest surprise about the all-on-four is how quickly it can transform the life. Step 2 - The dentist or surgeon will prepare the mouth for the implants, which involves removing the remaining teeth that are failing. Any diseased or infected tissue from the jaw and gums will be removed. Step 3 - Dentist will insert the titanium screws through the gum tissue into the jawbone. Most likely, the doctor will place two implants toward the front of the mouth as that’s where the most bone tissue typically exists, and toward the back of the mouth so these anchors can evenly bare the force of the denture. Step 4 - After the implants have been placed, the surgeon will thoroughly clean the surgical sites and suturing all the incisions. The patient will be taken to a recovery room where they can relax and take time to wake up from the anesthesia. One of the benefits of getting an All-On-4 dental replacement is the quick recovery time. The recovery time after getting traditional dentures can be 3 to 4 months, but after getting an All-On-4, the patient should be a few days to a week or so. The reason is that the implants fuse to your bone from the very first day.